1. You can wear this kimono over a dress, over jeans and a tee, as a swimsuit coverup, or even as loungewear. Plus, it comes in 11 colors, so your options are nearly endless. 2. 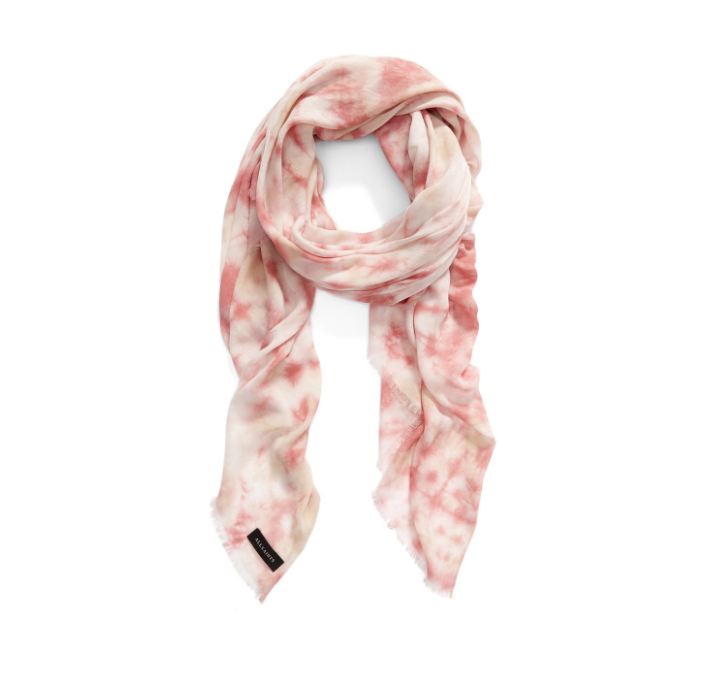 If you're thinking "tie dye is not for me," then at least try this pretty scarf. 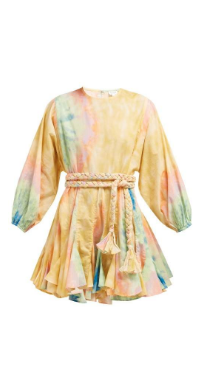 The print is so soft and subtle, you can barely tell it's tie-dyed. And in spite of the fact that I already own two pink scarves, I'm really tempted to get this one too! 3. 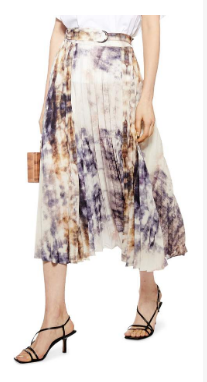 Topshop, purveyor of all things trendy, has a bunch of tie-dyed options, but this universally flattering pleated midi skirt is my favorite. The colors and pattern are so abstract, it almost looks more watercolor than anything else. 4. This dress really makes me want to take a trip somewhere warm and tropical. It's not the most practical for every day, but you know it would make a good vacation Instagram. 5. This slip dress could also work for vacation, but it's chic enough for the city too, especially if you layer it with a tee and/or cardigan. The print reminds me of clouds. 6. A restrained take on the tie-dyed tee, I love the muted colors and simplified pattern of this one. Also, I know I'm late to the Allsaints party, but I'm in love with everything this brand has been doing lately, including this tee. 7. 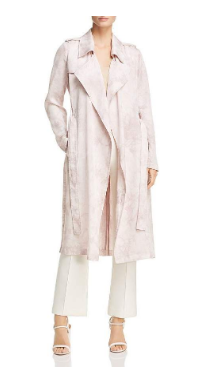 I love the juxtaposition of the ethereal, tonal tie-dyed print with the classic, tailored shape of this trench. This is a textbook "classic with a twist" piece, and I'm here for it. 8. Do you need a pair of $300 sweatpants? Probably not. But do you want a pair? I'm going to go with yes. I love how these look tailored, with the seam detail along the front. Admissibly, I'm sort of the anti-fashion broad, but I think any season is a good season for tie dye! I've loved tie dye ever since I made my first tie dye project back in the early 1970's. I like the items you've shown here! 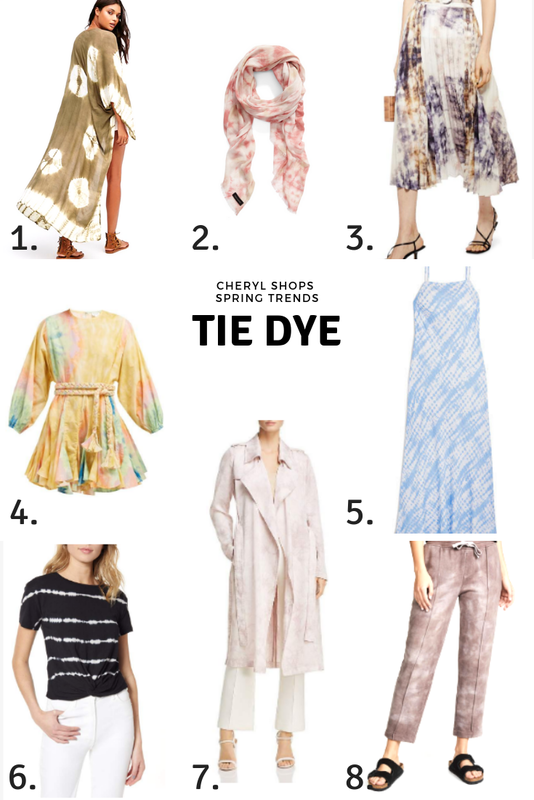 These are all really great pieces, especially that blue/white tie dyed dress! I have a similar skirt to it! 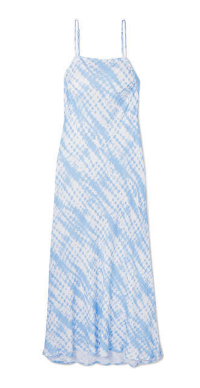 I have a tie-dye maxi dress I pull out year after year as it's such a classic - I'm glad to see it's trendy again but I think it will always look stylish!